When I started writing The Red King (out TODAY!! ), I thought I knew I was in for…I was wrong. The story took off in ways I didn’t expect, from new characters with twisty backstories, to immersive research that distracted me endlessly…but that always happens. What was new, however, was how many people started asking me to read their cards once I started writing Sara’s newest adventures. From old friends asking me for readings out of the blue, to actual bona fide psychics encouraging me to “go professional,” to odd requests to read at public events. I have always resisted giving these kind of readings, because I’m *not* a professional. And yet…I started doing it. I read for strangers. I interpreted others’ reading for them when they were confused as to what was being said. I explained the nuances of the cards in ways that Sara would truly love, combining place and personality to inform the reading. It made me realize that perhaps I could expand my readings to my readers (or whoever was interested) online, so that’s something I’m exploring now. I have! I find that it gives me insight to hear the perspective of an outsider. Regardless of if you agree with the mysticism aspect, it is an opportunity for purposeful reflection. I absolutely agree with you, Katherine! It’s another guidepost along the path. I have not had my Tarot cards read,but may have accidentally passed on the opportunity. I have never had Tarot cards read or visited a psychic of any kind. It is something I have always wanted to do!! I had a brief reading at a party once. A certain amount of cold reading went on, but I don’t recall anything remarkable. John, thanks for posting! I think readings can go so many different ways, especially at a party. But I’m glad you gave it a try! I find that I always learn something even if the reading isn’t earth-shattering–but then I look to readings as much for their meditative value as divinatory. It’s all to the good! I actually bought tarot cards when I was in college. I studied the cards and did my own readings. 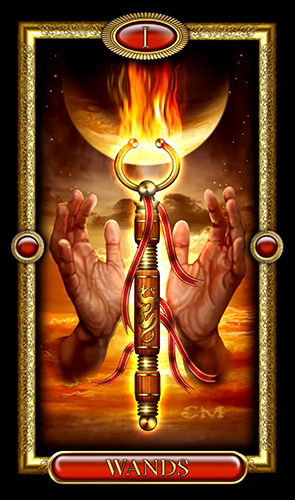 I felt the cards tapped into my intuition and subconscious mind. I gained insight from my readings and even read for friends. For whatever reason, I stopped and lost the cards. I bought a new set when I started reading your books, but I haven’t had the time to relearn them. Nope, never had a proper tarot reading. 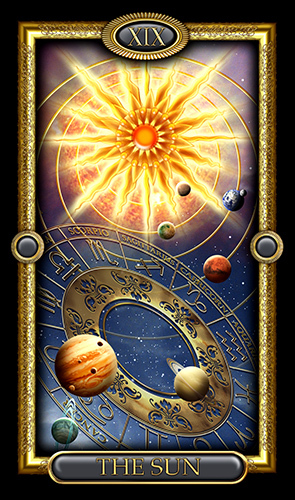 The closest thing has been using various types of “angelic” decks with a kind of spiritual director in which I would typically draw a single card, reflect on the image and the meaning of the card, and unpack whatever gift/significance rises to the surface. So, anywho, I would love to volunteer for a reading of any kind should you be seeking a guinea pig or feedback!